Once you've received your digital certificate and incorporated it into Internet Explorer, you can use it to electronically sign your e-mail. 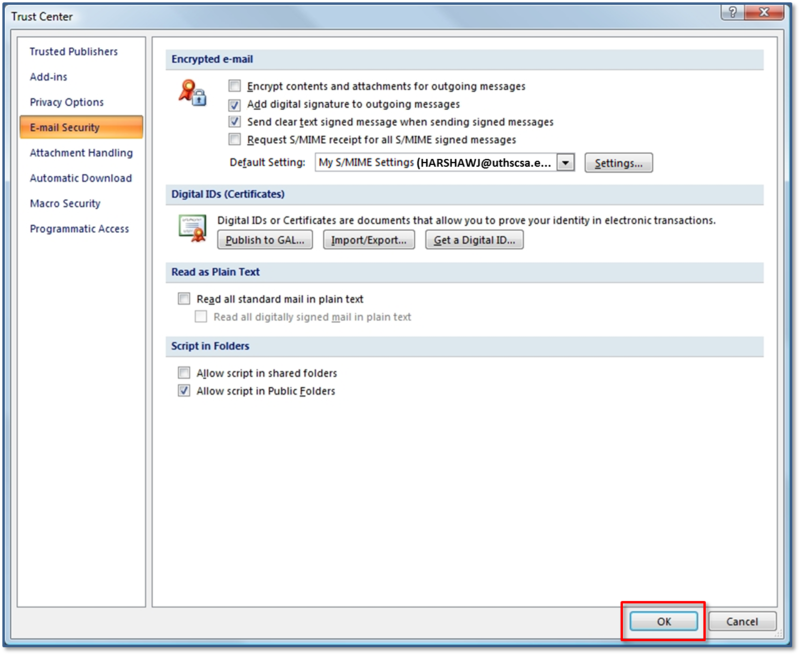 Follow these instructions to import your digital signature into your e-mail client. 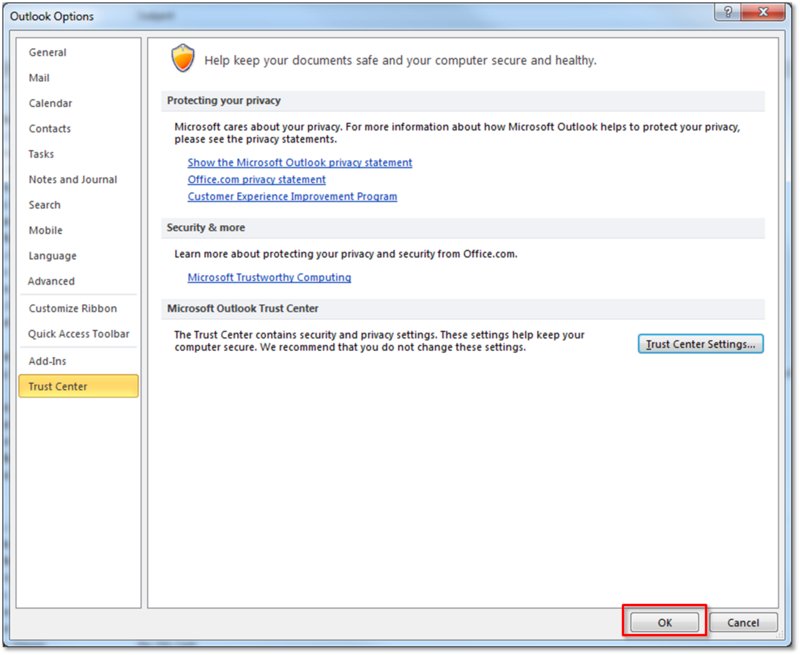 These instructions work for both Outlook 2010 and Outlook 2013. Select the “File” tab in the upper-left-hand corner. From the “File” menu, select “Options”. When the “Outlook Options” window opens, select “Trust Center” from the list on the left. Click the “Trust Center Settings…” button. In the “Trust Center” window, select “E-mail Security” from the list on the left. 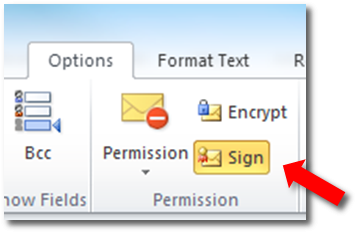 Under “Encrypted e-mail” pane, ensure your user certificate is shown in the “Default Setting:” pulldown menu; if not, click the down arrow in the pulldown menu and select your certificate. Ensure the second and third check boxes are selected. In the “Digital IDs (Certificates)” pane, click the “Publish to GAL…” button. This will allow anyone using the Global Address List (GAL) to automatically validate your digital certificate. Click “OK” when the certificate is published. Click “OK” to close the “Trust Center” window. 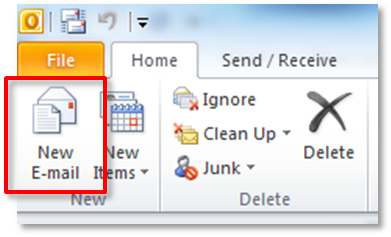 Click “OK” to close the “Outlook Options” window. 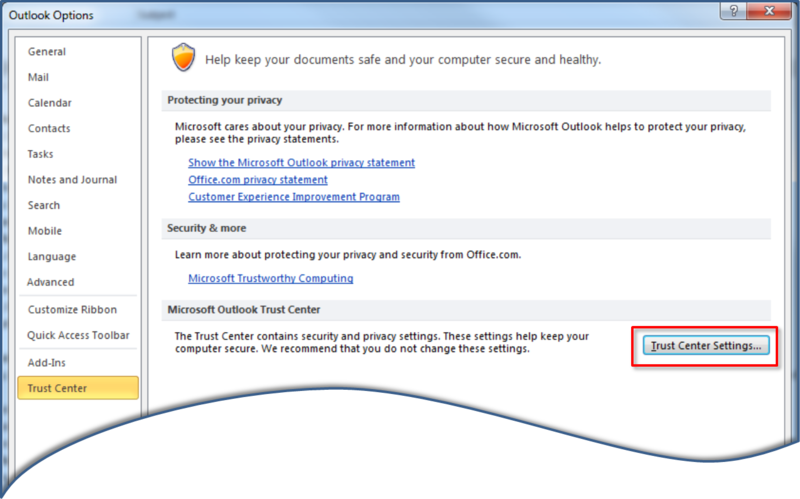 The digital certificate is now configured for Outlook 2010. To confirm the settings, click the “Home” tab and click “New E-mail”. When the new e-mail opens, click the “Options” tab. In the “Permission” pane, the “Sign” button should be visible and highlighted. Your digital certificate is properly installed and configured. You may close the blank e-mail. All e-mails you send will be digitally signed by default. 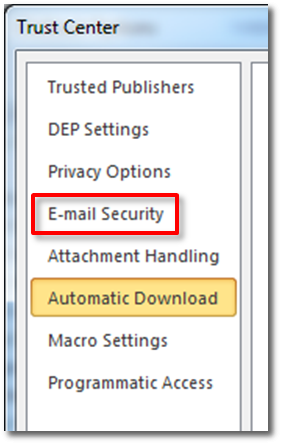 Under “Encrypted e-mail” pane, ensure your user certificate is shown in the “ Default Setting:” pulldown menu; if not, click the down arrow in the pulldown menu and select your certificate. Ensure the second and third check boxes are selected. When the new e-mail opens, click the “ Options” tab. In the “Permission” pane, the “Sign” button should be visible and highlighted. Your digital certificate is properly installed and configured. You may close the blank e-mail. All e-mails you send will be digitally signed by default.